Laughter is always the best medicine! 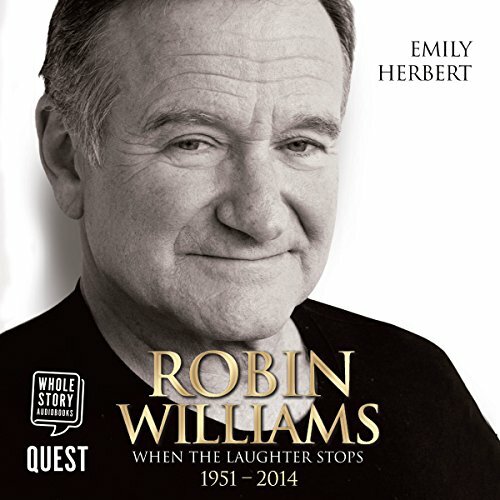 If you love the comedy of Robin Williams and need a laugh, this book is for you! 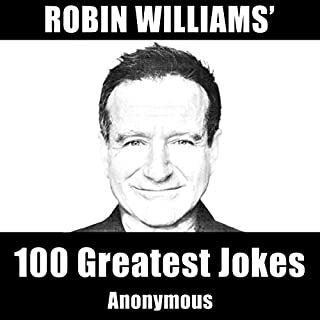 Robin Williams' 100 Greatest Jokes is a collection of Williams' funniest punchlines expanding his entire career, from his funniest movies to his brilliant stand-up comedy routines. Although the world lost Robin Williams in 2014, his comedic genius lives on in this hilarious keepsake. Robin Williams was an American actor and comedian. Chicago-born, Williams started as a stand-up comedian in San Francisco and Los Angeles in the mid-1970s. 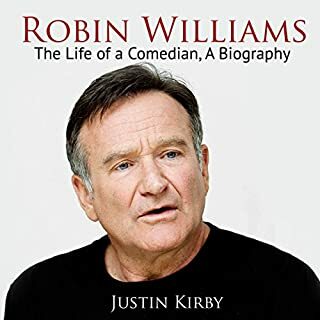 After rising to fame as an alien called Mork in the TV sci-fi sitcom series Mork & Mindy, Williams established a career in both stand-up comedy and feature film acting. He was known for his improvisational skills. On August 11, 2014, Williams committed suicide at his home in Paradise Cay, California, at the age of 63, which his wife attributed to his struggle with Lewy body disease. With his twinkling eyes, boundless energy and unrivalled natural wit, Robin Williams was the comedian who brought laughter to a generation. Through roles in cherished films such as Mrs. Doubtfire, Jumanji, Aladdin and Hook, he became the genial face of family comedy. His childlike enthusiasm was infectious, sweeping viewers away. Allied to his lightning-quick improvisation and ability to riff lewdly off any cue thrown at him, Robin was that rare thing - a true comic genius who appealed to adults and children equally. He could also play it straight, and empathetic depth came to him naturally. A poignant performance in Good Will Hunting won him an Academy Award whilst his masterfully chilling turn in psychological thriller Insomnia shocked audiences and hinted at a darker side. What truly caught the imagination, though, was his good-heartedness. Warmth radiated from him on-screen, but he was legendary for his off-screen acts of selfless generosity. 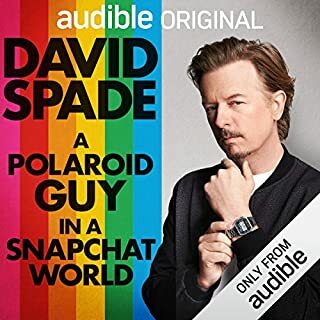 Where most Hollywood A-listers demand outrageous pampering in their contract riders, he always insisted that the production company hire a full quota of homeless people to help make his movies. But behind the laughter lay a deeply troubled man, and tragedy would follow. At midday, on 11 August 2014, Robin Williams was pronounced dead at his California home. The verdict was suicide. He had battled depression and addiction for many years and was allegedly beset by financial difficulties. 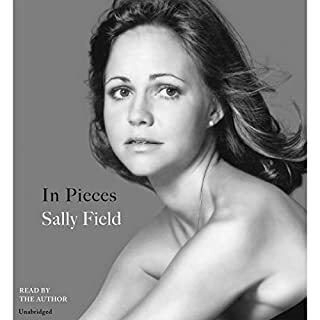 Emily Herbert's sensitive and thoughtful biography celebrates his genius and warmth but also attempts to understand what could have driven such a gentle and gifted man to so tragic an end. This is Robin Williams, the life, the laughter and the deep sorrow of the man who made the world smile. 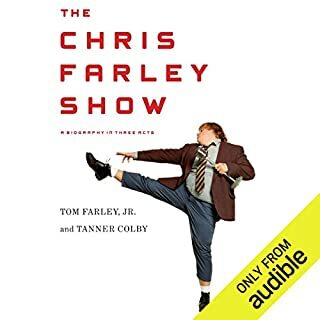 I loved it, but had to ffwd past chapter 1. It was only quotes about how sad people were. The author's trend to quote continued, but not like in the beginning. After that, I couldn't stop listening. I learned a lot about my comic hero. Just felt like a lecture. None of his personality came through. Dissapointing. Was a struggle to finish. Waste of a credit.!! 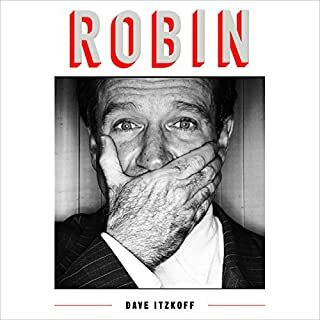 Absolutely loved it, the book actaully gave you up & downs just like robin did in his life. It is a true dedication to the amazing & wonderful man he truely was.